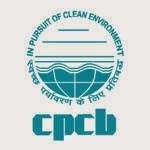 Central Pollution Control Board (CPCB) has published for the post of Management Trainee in 2015. To get further details read out the CPCB Assistant & Junior Technician recruitment 2015 notification details. Education Qualification : Read out the official notification to get details about education qualification. - Last date of receipt for the Application : 30th March 2015. 0 comments for " Central Pollution Control Board Recruitment 2015 for Assistant & Jr. Technician "